LEAVING CAITHNESS FOR THE JUNGLE! We are planning to take part in a 10 day Jungle Trek in Costa Rica, to raise money for the SSPCA. The trek will take place from 26th November to 6th December 2005, and is quite a challenging trek, covering some rough terrain. 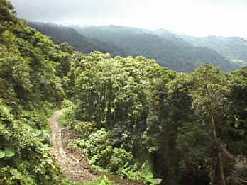 Costa Rica has a huge variety of landscapes, climates and environments. 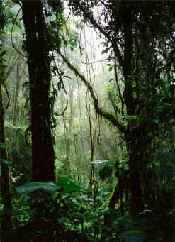 It is home to five per cent of the planet’s biodiversity. Everything from palm tree-lined tropical beaches to smoking volcanoes, cloud forest, rainforest and mangrove swamps awaits us in Costa Rica! Our challenging trek will take us from the slopes of Irazu, the highest volcano in Costa Rica at 3432m through plantations of coffee, forests of oak, cloud forest and dense tropical rainforest. We finish on a beautiful tropical beach. This is a challenging trek, through remote and rarely visited regions. The terrain is tough with some extremely hard climbs. 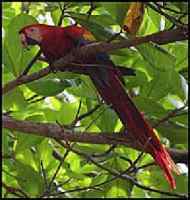 During the trek, we may be lucky enough to see various animals and birds, including macaws, sloths, lizards, snakes, tucans, jaguars, monkeys, frogs, mountain lions, hummingbirds and iguanas. This is an exciting challenge, and we have decided to take part as it is for such a good and worthwhile cause. There are so many animals suffering in Scotland, and they need our help. All money raised will be given to the SSPCA. The Scottish SPCA receives no government or lottery funding – last year it cost £7 million to run the organisation. The many achievements of the Society and its success are made possible by the tremendous support of the Scottish public, our fundraising branches, and from sponsorship partnerships forged between the Society and Scottish business and industry. We need to raise a minimum of £2500 each, which will be quite a challenge, but we strongly believe we can do this, if we have the support the Caithness community. We are planning to hold a number of different fundraising events in Caithness over the next year, to raise as much money as we can. We will also be contacting all of the local schools and businesses in Caithness, to see if they are interested in helping us in any way. We would like to appeal to everyone in Caithness to help us in some way, if possible. We will have sponsor forms and collection tins in various shops in Caithness, so please sponsor us or give donations if you can. We will be holding as many fundraising events as we can in Caithness, and would love to see everyone at these events – we would welcome the support! If anyone would like to help out with any of our fundraising events, please contact us. We would also appreciate any donations of bric-a-brac, books, toys etc – anything we can sell at car boot sales and sales of work. If anyone has any ideas or suggestions for fundraising, or can offer us free or discounted venues for such events, again, please contact us. We would really love to raise as much money as we can – this is such a worthwhile cause, and we hope we will have the support of our local community. All of our fundraising events will be advertised on Caithness.org, and on the following website - http://www.veggieviews.btinternet.co.uk - click on the jungletrek link on the left hand side! We will also be advertising in the local shops, and in the newspapers, so look out for our events! Thank you. Due to unforeseen circumstances the girls cannot go on the trip. All funds raised to date have been given to the SSPCA and items donated to other local charities. Prize Bingo in March - exact date to be confirmed. We have arranged a sponsored abseil in Caithness, to take place on Sunday 8th May. All money raised will be going to the SSPCA - the sponsored abseil is part of our fundraising campaign. 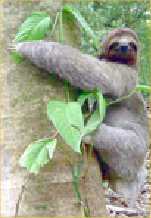 We are also taking part in a jungle trek in Costa Rica in November, to raise funds for the SSPCA. The Scottish SPCA receives no government or lottery funding - last year it cost £7 million to run the organisation. The many achievements of the Society and its success are made possible by the tremendous support of the Scottish public, our fundraising branches, and from sponsorship partnerships forged between the Society and Scottish business and industry. Taking part in a sponsored abseil is a fantastic challenge, and we are looking for as many volunteers as possible to take part, and raise as much money as possible. Please contact us if you are interested in taking part, so we can arrange numbers and sponsor forms for everyone - this is a great opportunity, and will be a great day out. The Fun Day went quite well, and we made about £215 after expenses, which wasn't too bad. The bottle stall was most popular! We'd like to say a special thank you to our pals Fiona and Sheila, who have been there to support us in everything so far - also Susan and Terri for helping out on the day, and Grace and Heidi for their donations. We couldn't do this, if it wasn't for the support of our friends. Veronica had a table selling jewellery, which was quite popular, and local artist Richard Arrowsmith was there to sell some of his prints, which also proved to be quite popular. Next year, we are planning indoor car boot sales each week, prize bingo, a children's Valentine's night Disco, a sponsored abseil, sponsored walk, fancy dress pub crawl and hopefully bag packing if the local supermarkets will support us. We're still waiting to hear from them. If anyone would like to help us, or take part in the sponsored abseil, sponsored walk or fancy dress pub crawl, please contact us. We would appreciate any support that people can offer.